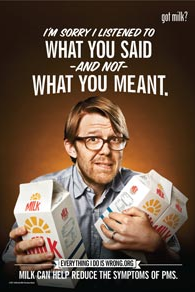 Campaign to Watch: Milk’s "Everything I Do Is Wrong"
We haven’t seen all the creative, but did visit the new microsite. Our question: Is this really a ‘marketing to women’ campaign? We’re anxious to hear from all of you–what are your thoughts?